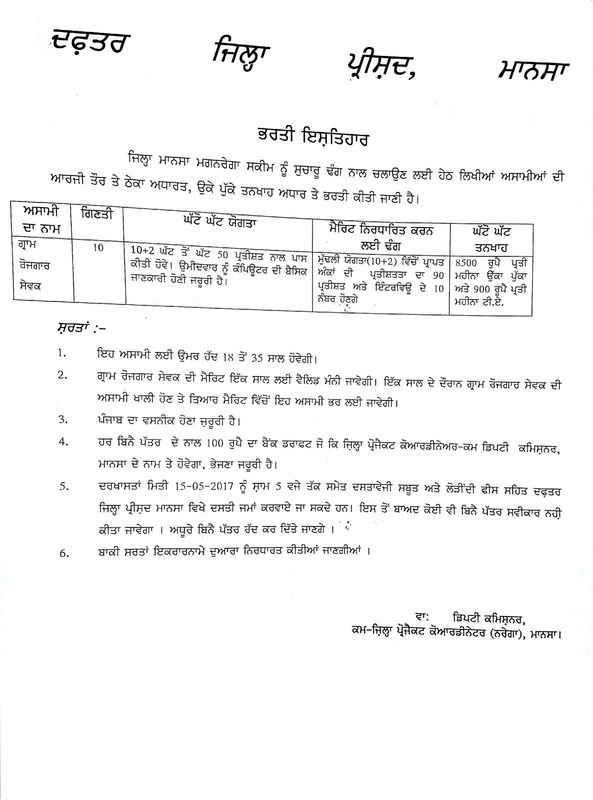 for this GRS vacancies of Mansa District. Last date for submission application to ZP Mansa is 15-05-2017. 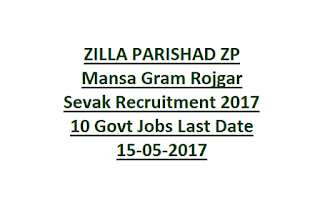 There are total 10 Gram Rojgar SevakJ Jobs in Zilla Pamchayat Mansa. 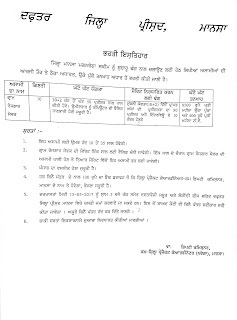 For selection process, age limits, pay scale and other details of Mansa ZP is Gram Rojgar Sevak vacancy. Last date to reach the applications to ZILLA PARISHAD Mansa District office is 15-05-2017. There are total 10 vacancies available in this ZP MANSA recruitment. As on 15-05-2017 the candidate's age limit is 18-35 years and age relaxations are applicable as per the ZP Mansa Norms. For complete details please see the official notification. A merit list will be prepared based on candidates marks percentage in 10+2. And those candidates will be called for personal interview. For more details or recruitment process refer official notification. 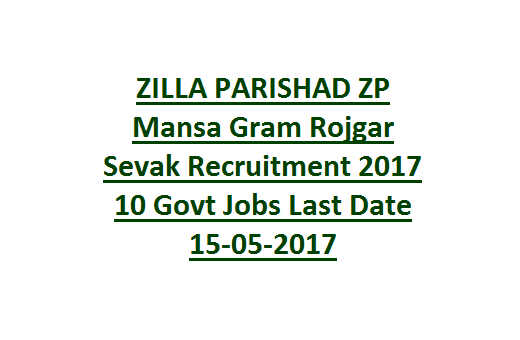 Notification for ZILLA PARISHAD MANSA GRS Jobs Recruitment 2017. Note: For more information please read the official advertisement.